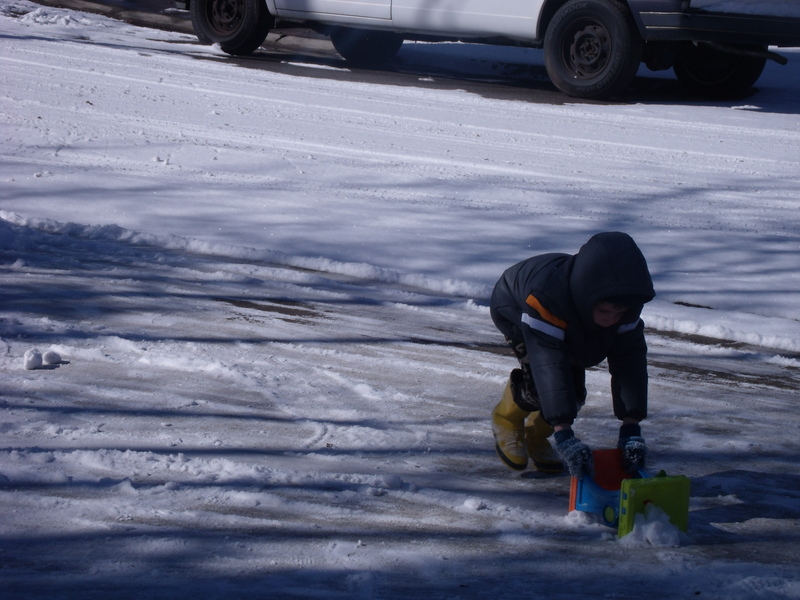 Right after I finished my lunch, Ian said he was ready to go outside and play in the snow. 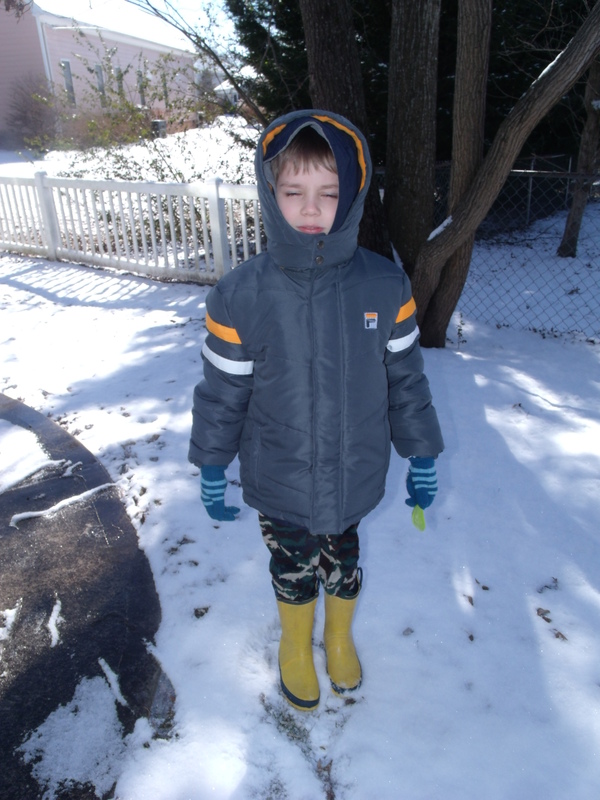 He stayed in his warm and footed pajamas, then put on his two coats, gloves, and boots. He was determined and a man on a mission. The snow didn’t pack very well so we couldn’t make a snowman. But we had plenty to keep us busy. 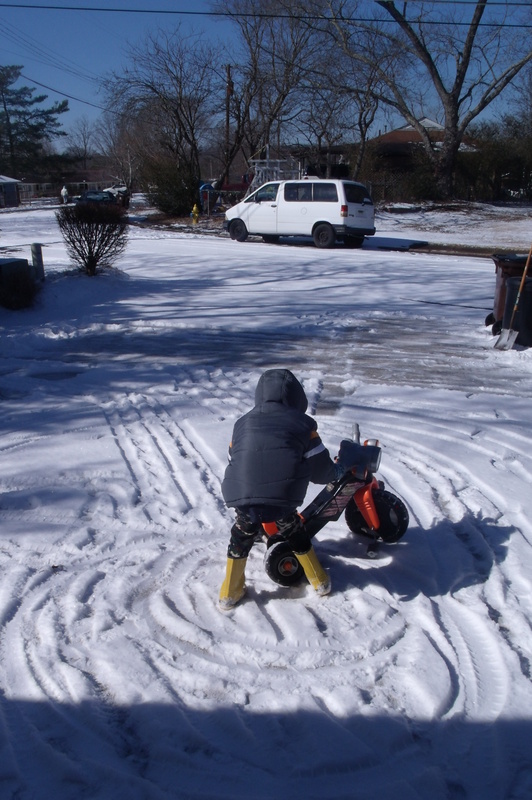 Ian got out his big wheel motorcycle and made circles in the snow, and made a snow angel. 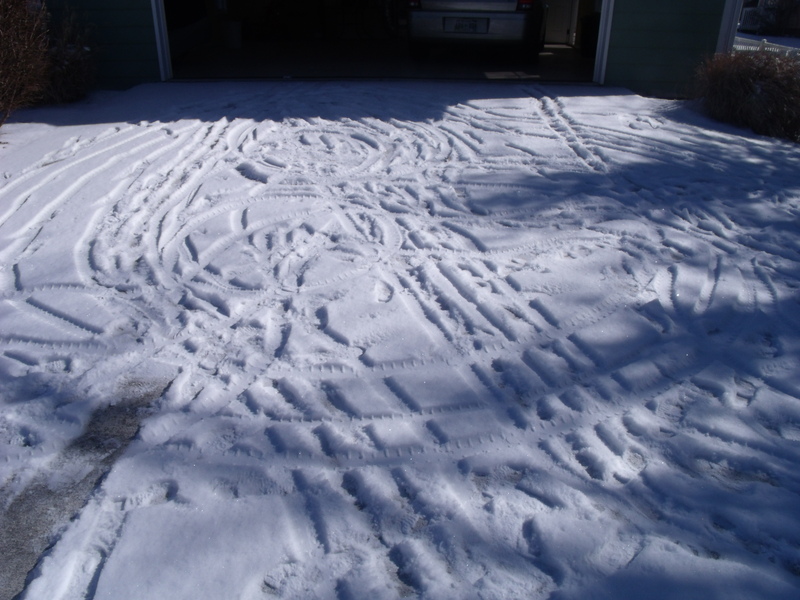 We also shoveled the driveway and played in the snow a little bit. And, we kicked a “snow ball,” as Ian called a beach ball. It was a fun time. 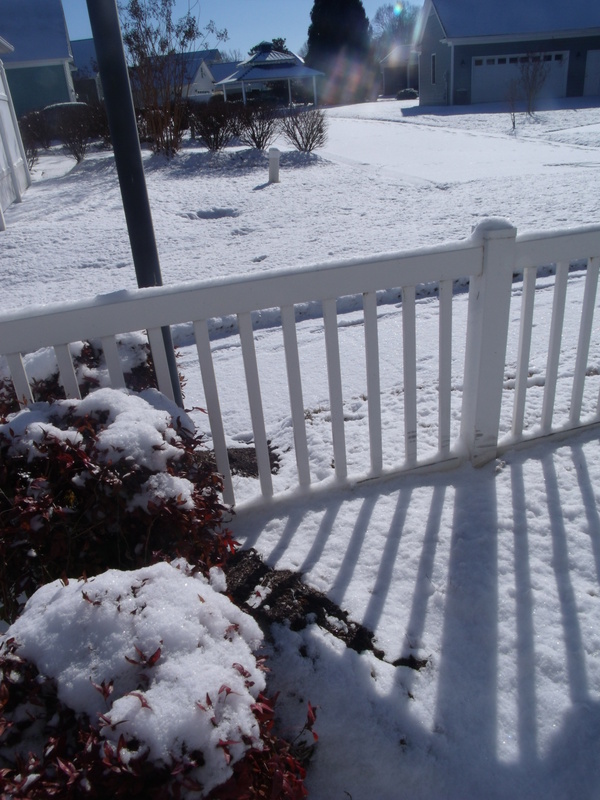 Unfortunately, by the time we went outside, a lot of the snow had already melted. The sun is amazing for that. I hope you enjoy our adventures in the snow. Hi and Happy Wednesday! 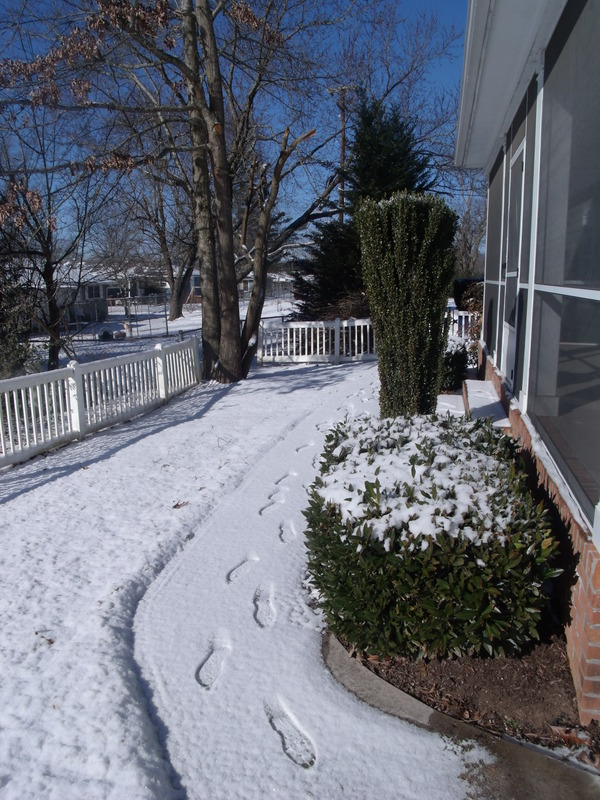 I am writing from the southeast on a very cold and snowy morning. And, guess what? School’s Out! Today is Ian’s first snow day. So far it’s been too cold to go outside. I told him that this afternoon, we will go out to play. He wants to build a snowman and have a snow fight. I will post those photos later. This morning we woke up at the same time as a school day. Ian was then ready to play inside with his toys, eat his breakfast, and is now having lunch — at his usual time. 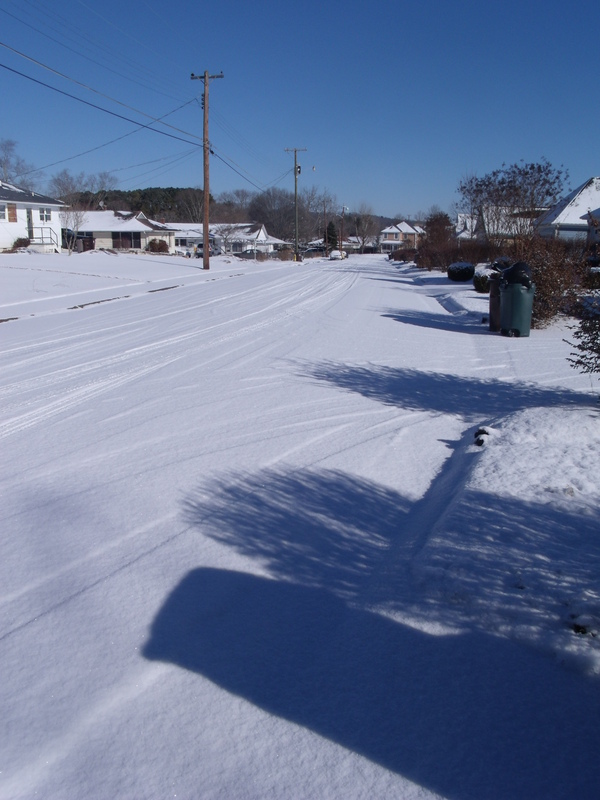 Parents of young school-aged kids don’t get the benefit of sleeping in on a snow day. Kids don’t seem to know the difference of a day off or not as far as the time to wake up goes. I know those of you with little ones can totally relate. This morning I took a few that I wanted to share. I hope you like them. It is lovely outside with the sun coming up! Our driveway and side road are still covered. Not sure when that will go away or change and if I want to shovel it. Too cold right now. Sun, please do your stuff and start the melting process! For all my friends and family in the south, stay warm and safe. I just wonder if tomorrow will be another snow day?! We’ll see. Hi and Happy Monday! It is hard to believe that it’s already the last week of January. Seems like the new year just started. 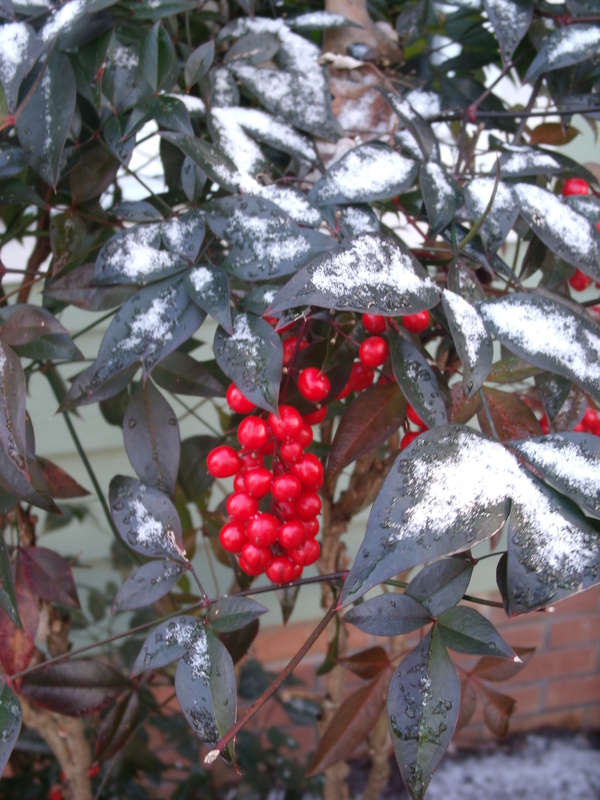 Saturday’s photo challenge was A Taste of Winter. Here is a photo that I took a few weeks ago when we had a little bit of snow. 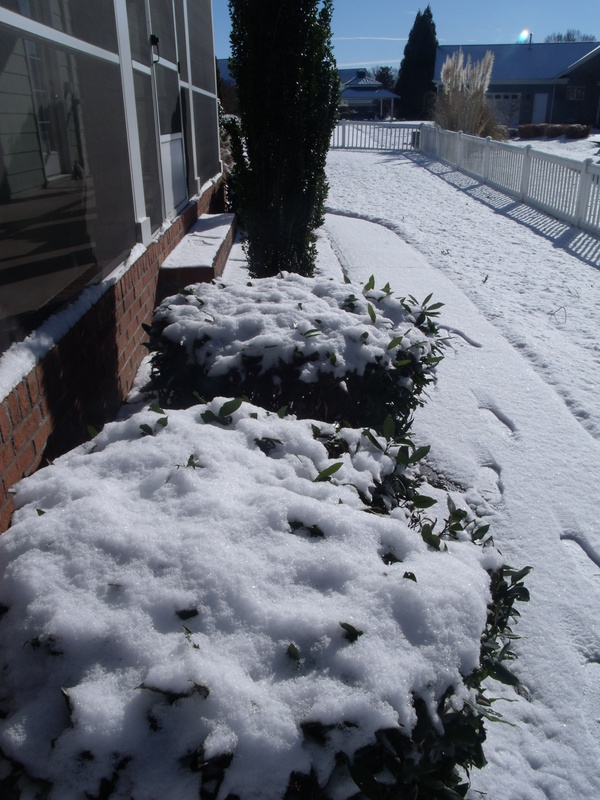 I like this holly bush in my yard. I meant to post this then but then got busy on a few things. You know how that goes, I am sure. Part of this weekend was cold but then it was warmer than it’s been. However, a cold snap is coming later today for the next few. A much colder winter this year than we have had in a while. We still haven’t had much snow though, which is probably just as well. I know of several people who have been dealing with a lot of it. 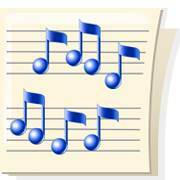 Mondays’ Musings is something I may start on Monday mornings if I have a variety of items to write about. I may not be using the word musings quite right but it sounds fun. **This weekend was a good one and we had some down time, some time with friends, and then some time to play and get out of the house. We went to dinner on Saturday night with one of my best friends. We hadn’t seen her in months and it was so great to catch up. She had been quite sick and thankfully, she is feeling better. It was fun to hang out and visit and just be together. 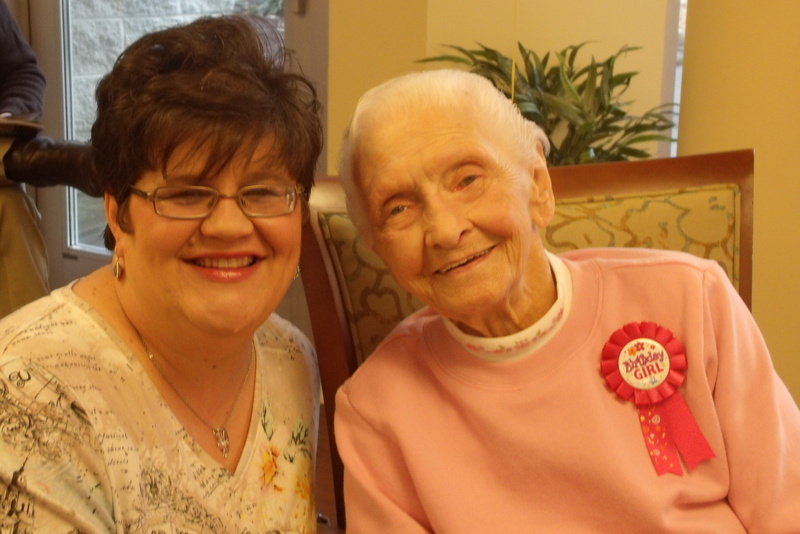 I had truly missed seeing her and was so glad we were able to work it out. Thank goodness for dear friends! **On Sunday, we went to church and heard a great sermon about love and living like you are dying. The pastor was talking about what true love is and that not only is it important to tell people we love them but also show to them. He also wanted us to remember to be really and truly thankful for each and every day. He mentioned that we are never promised tomorrow. It was a thought-provoking sermon and one that was really well given. I hadn’t realized how closely Ian was listening until he gave me a note just before bed. He had asked me to write a few words down for him, but I didn’t know what he was working on. 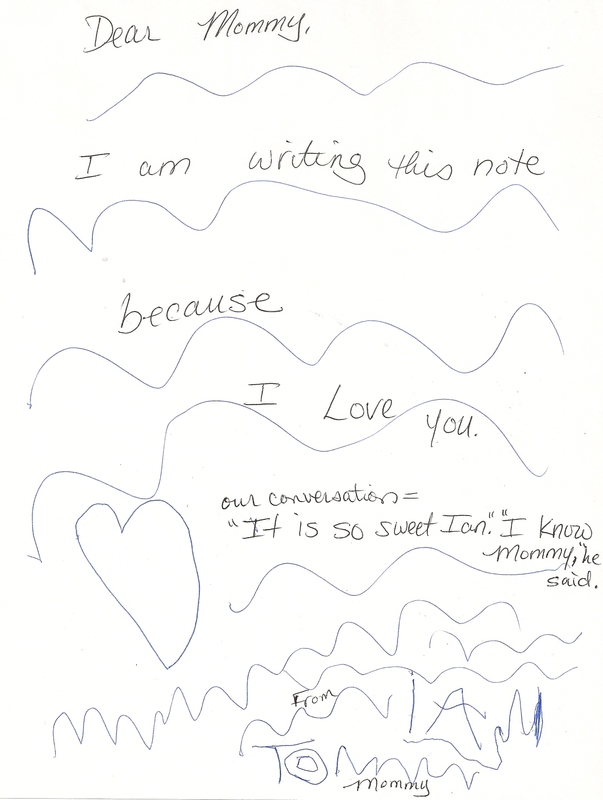 It was the note, which states, “To Mommy From Ian. Mommy, I will love you forever.” Wow, how amazing and sweet is that. I have to say I teared up and told him “I will love you forever too.” He then kissed my hand and gave me a hug. The love of a child — there is nothing like it. So pure, and honest, and unconditional. It is given just as Pastor was saying love is supposed to be. I was truly moved and was amazed at my son. He truly is a blessing! **Last night was the Grammy awards telecast. I had seen some ads about it but then when the time came for it to come on, I was interested in other shows. Two of them I watched were Downton Abbey and Sherlock, both on PBS. Both of these are amazingly well written, clever, and full of amazing and rich characters. Just like a favorite character in a great book, these are so rich and well-drawn that you almost wish you could meet them. Well, at least I do. The writing, dialogue, and acting are wonderful. As a writer, I am inspired and in awe of the talents of the people who bring us these shows. I laughed, cried, and laughed some more. One of the funniest lines I have heard in a long time was, “He’s clueing for looks.” I don’t want to mess up the plot if you haven’t seen it, but it was perfect for the situation and oh so funny! ***Those are a few of my musings for this morning. Do you have any musings you’d like to share? Please do! Hope you have a great day! Hi and happy Thursday! Hope you are having a great day and staying warm. At my house, it is sunny outside but very cold. BRRR! Today’s Photo Challenge is Bedtime and since it is also Throwback Thursday, I thought I’d share a photo of my son when he was a little guy. He is already asleep and looks so peaceful. 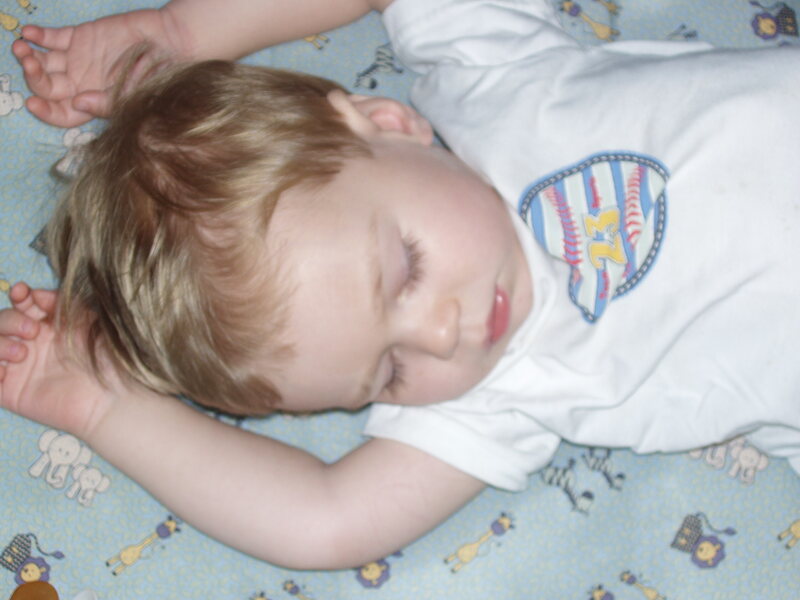 He either sleeps all stretched out like in this picture with his hands above his head, or he is scrunched up. To this day, he still does that. Funny how some things don’t change. When he was little, I used to love to watch him sleep. He was always so peaceful. Now I like to watch him and enjoy the quiet. He always is so active and has so much to say throughout the day. Our routine for bedtime is potty time, brushing teeth, changing into pjs, then getting milk, climbing into his bed and getting under the covers, choosing a stuffed friend to have in the bed, choosing and reading a book, saying a pray and talking about the day, and then lights out. We sometimes add in a bath before that but try to do those earlier in the evening. I will sometimes stay for a few minutes but not always. Then he is sleeping. Ian often likes to tell me stories or details about his day right at bedtime. Not sure if that’s when he finally has time to rest and is ready to share or that he just wants to delay what he knows is coming. Sometimes both. Depending how tired I am, I sometimes fall asleep in his room, and later wake up and head downstairs. After he goes to bed, Kirk and I have some evening left. I must admit that is often my favorite time of day — just the grownups. We can talk without interruption, or read something, or watch a favorite show. Don’t get me wrong, I love Ian and the time we have with him, but we need our time too. You know what I mean? Now that I have written about bedtime, I am ready for it! However, I have a lot to do between now and then. Funny that I cherish it now as an adult. The time to wind down at the end of the day is wonderful. Getting in my pjs, taking contacts out, glasses on, taking my nighttime medicine and vitamins, brushing my teeth, washing my face, reading my Bible or another book, setting the alarm clock, and finally sliding under the covers with my head on the pillow. Ah, bliss. Off to dreamland. Hi and Happy Tuesday! Hope you have had a great weekend. Mine was nice but I didn’t feel good so it could have been a lot better. I went to the doctor yesterday afternoon and found out I have a sinus infection. Needless to say, a lot of rest was on the agenda for me over the weekend. I read, watched some shows and movies, and had a nap or two. One movie that I watched part of was South Pacific, released in 1958. The movie starred Mitzi Gaynor as Nurse Nellie, Rossano Brazzi as Emile DeBecque, John Kerr as Lt. Joseph Cable, Ray Walston as Luther Billis, Juanita Hall as Bloody Mary, and France Nuyen as Liat. The movie Web site IMDB states this about it, “On a South Pacific island during World War II, love blooms between a young nurse (Nellie) and a secretive Frenchman (Emile) who’s being courted for a dangerous military mission.” There is another storyline regarding young and lovely Liat, the daughter of Bloody Mary, and the very handsome Lt. Cable. I had the pleasure of playing Liat while in college. I learned to do the hula for this part and had a great experience and such fun. Lt. Cable sings “Younger Than Springtime” to Liat during the show and they start falling in love. This was fun to play and I can still remember the words to that song. I love the songs in this movie in addition to that one: “I’m Gonna Wash That Man Right Outta My Hair,” “Some Enchanted Evening,” “Happy Talk,” “Bali Hai,” and “Bloody Mary.” I imagine that I have left out a few. I know the words to each and every one and sang along with them while watching the movie. My mother starred in a production in our home town more than 20 years ago as Bloody Mary. 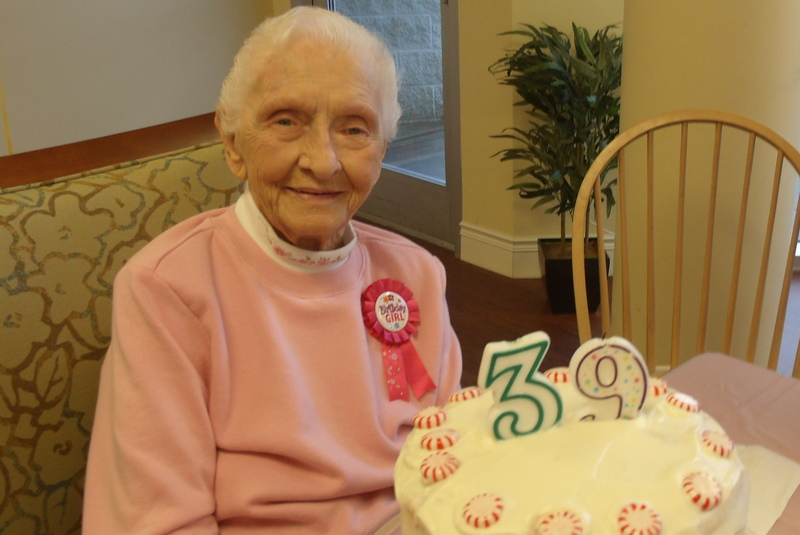 She did a beautiful rendition of Bali Hai that my grandparents loved hearing her sing. I like her version better than the one in the movie. I guess I partial to my mom’s singing. He sings about the fact that we are often taught to not like people who are different from us. By the time he finishes the song, he realizes how that he does love this young woman and that he should follow his heart. These words really spoke me to over the weekend. They reminded me again of how important it is what we teach our children — both through words and how we treat others. Have you seen young children of different races play together nicely? I have. They don’t know that it’s not okay to do this — until someone tells them it’s not. My son has friends of all kinds — including different races and religions, and many other differences as well as some of the same — a nice variety. I love that he knows that just because someone is different, that he can still be friends with this girl or boy. I too have a variety of friends and family and feel blessed that all of them are in our life. My husband and I are teaching him that all people have value and all are loved by God. We are teaching him also to be kind to all people and love others. May we remember to treat others with respect, kindness, and love. After all, we truly have more similarities than differences. I wonder if I can truly remember to love others and treat them with respect and kindness. I do my best each day to do just that. Hi and Happy Thursday. Today’s photo-a-day challenge is Sun and it’s a Throwback Thursday. So, I decided to combine these into one photo. 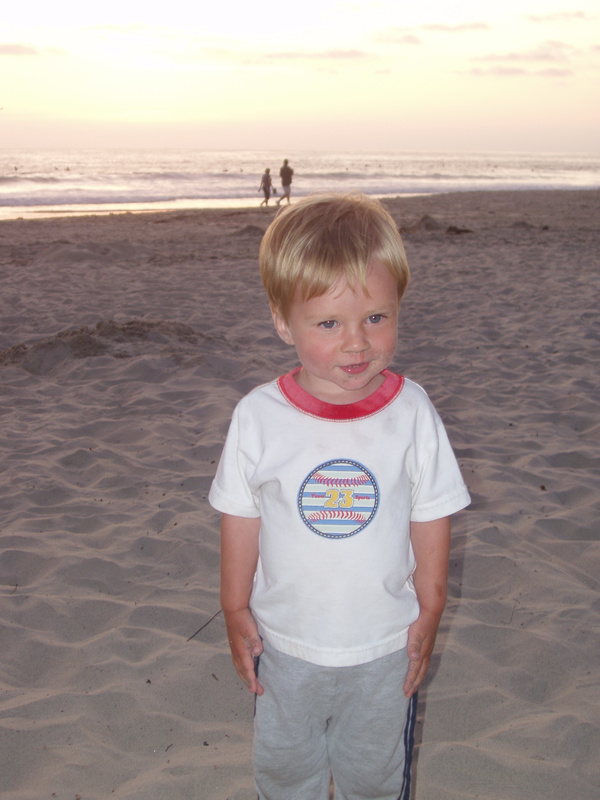 This was taken of Ian at the beach when he was about 2 years old. I love how blond his hair got that summer. Isn’t he a cute little beach bum? We were enjoying a sunset at our favorite beach. Over the years, I have taken hundreds of sunset photos at this beach. I like the colors of the sky in this picture. 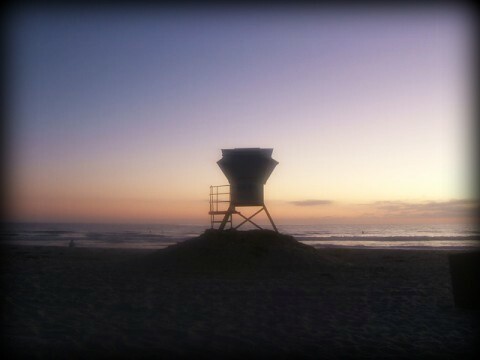 The one below is of the lifeguard tower at this favorite beach. It too is at sunset. May you have a day full of sunshine! Hi and Happy Tuesday. Hope you are having a great day on this 14th of January. 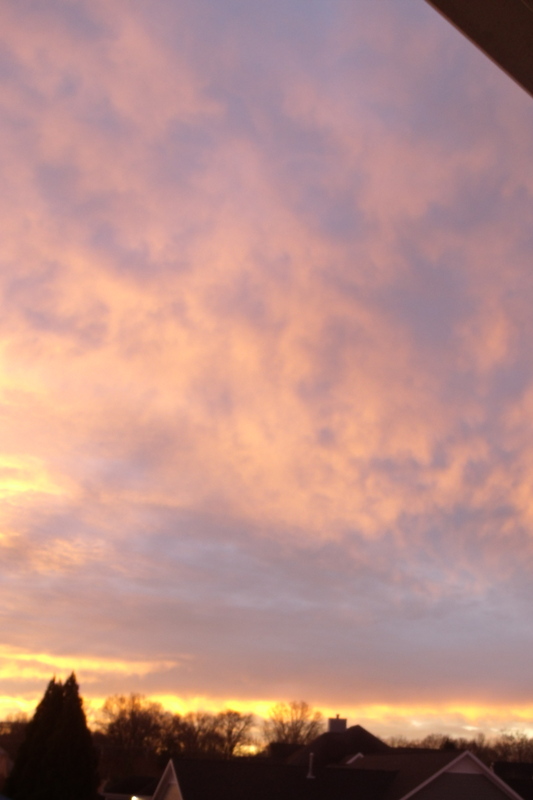 Yesterday morning, I enjoyed a lovely sunrise. It was amazing how the clouds looked in the sky and the color of the sky. Here are a few of the photos that I took. I have always loved sunsets on the west coast. I have hundreds of photos from over the years and love them. I have recently begun taking photos of sunsets from here in the east and they are just as lovely – minus the ocean of course. 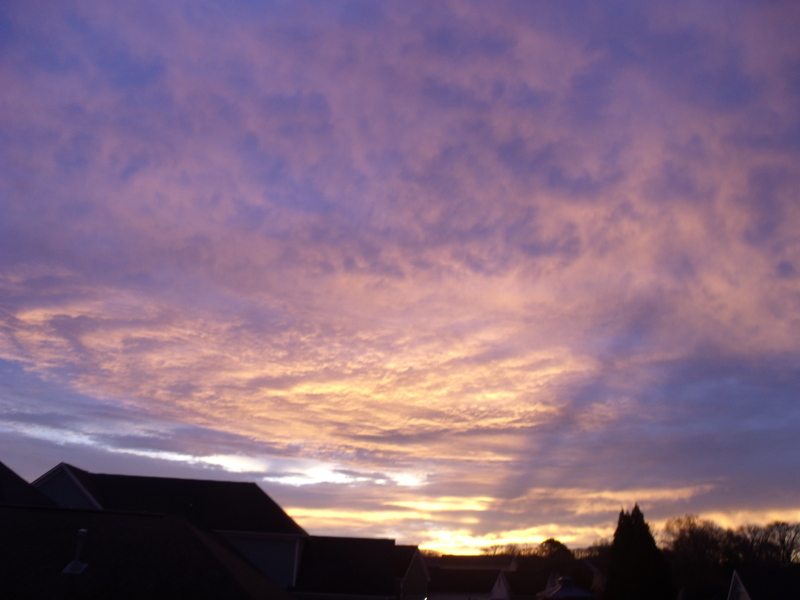 Now I am discovering the lovely and varied sunrises as I am up early enough now. With getting a son off to school each morning and then coming back home for my day, I have time to stop and look at them and take photos as well. I like having the flexibility of taking photos of items in the morning before my day really gets going. I am truly blessed to be able to do that. May you have a wonderful day! I wonder how the sky will look tomorrow morning? I look forward to finding out. Hi and Happy Friday. Today I have written on a few prompts that I have read about from a variety of sources. I didn’t want to cover just one so I thought I would include all three. 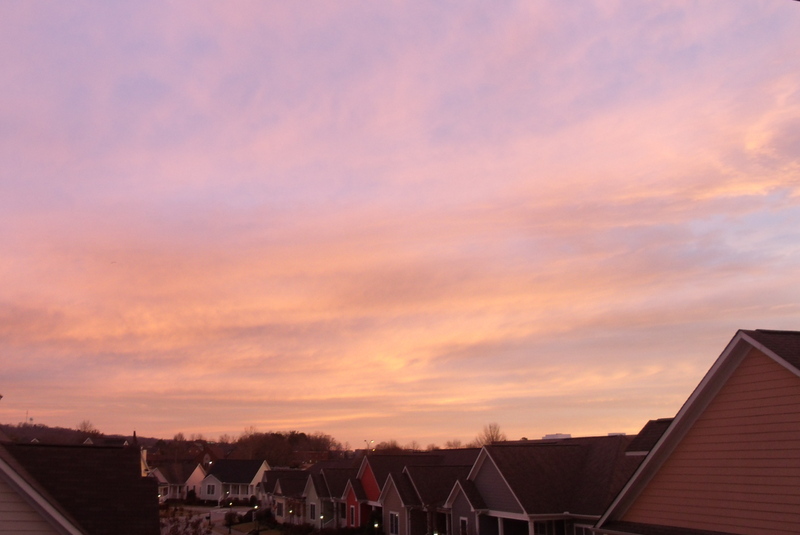 They are See, Roy G. Biv, and Manmade. I am posting three pictures — one that was a thank you note that Ian wrote (thus manmade) that I was happy to see and read. That picture takes care of those two subjects. 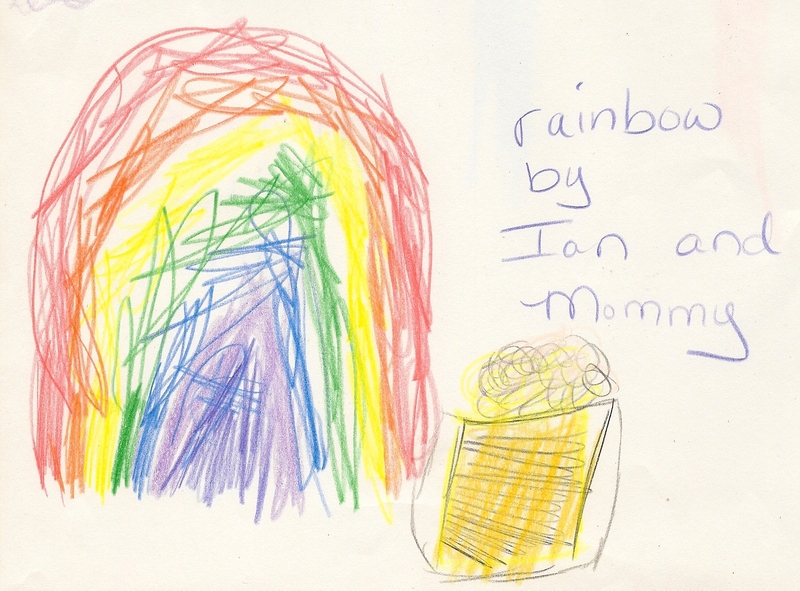 The second is of a rainbow that Ian and worked on together — thus Roy G. Biv, and the third is a special quote. This was a prompt for today from Five Minute Friday. I decided to bypass the usual rules and just write on the subject. To be able to see is a true blessing. I have often wondered what it would be like not to. I didn’t like that thought at all. Seeing is something I don’t take for granted. Ever since 8th grade, I have worn either glasses or contacts so I know my eyes need help. When I don’t have them on, it is truly hard for me to see anything but fuzzy images. There are several things that I especially like to see — my husband’s grin and grabbing of my hand as he tells me I am precious to him, my son’s smile as he tells me he loves me and thanks me for something special, and my family and my friends who I love to spend time with. I also like to see a sunrise over our neighborhood, a sunset into my favorite ocean, the beauty of a rainbow or the starting of spring, a play in action, being able to read a favorite book, seeing a friend’s book be published, and the list goes on. This was a prompt from WordPress. Do you know what that name is? I remember learning this acronym in 8th grade. It is the colors of the rainbow — Red, Orange, Yellow, Green, Blue, Indigo, and Violet. I love all of these colors of the rainbow and rainbows themselves. There is nothing like seeing a rainbow in the sky after a day or two of rain. It is so lovely and lets you know that things are going to improve. I remember one of my favorite pictures that is now on a necklace. It is of a rainbow on top of our family’s beach house. Talk about special. Many of you know how important rainbows are to me. After all, my grandpa’s character who inspired the title of this blog was always trying to find where rainbows come from. It was his life’s journey to try to find that answer. 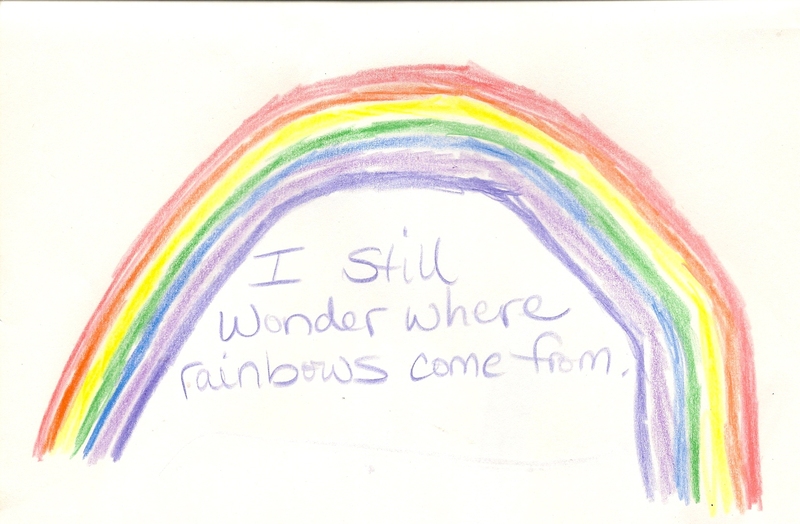 Each story ended with Willie scratching his head and saying, “I Still Wonder Where Rainbows Come From.” Keeping this blog going is my way of keeping my grandpa and Willie alive and their quest for finding answers. This prompt is from Fat Mum Slim’s Photo-A-Day Challenge. Our world is full of things made by God and nature and those which are manmade. I love the beauty of both. For manmade items: there is beauty in the Eiffel Tower in Paris, a painting by Monet who is my favorite, a photo of my young son by my photographer friend which made me cry when I received it, and a special note that my son wrote for me. Man has been working on inventions and things to make for many years. I love the fact that someone invented a toaster, a computer, a camera, a washing machine, a garage door opener, a pen and pencil, a Post-it Note, a staple remover, a hairbrush, a tea kettle, a microwave, and a telephone. That is just the tip of the iceberg but many things that I use almost every day. I have often thought it would be great to invent something but what can I come up with? I will try to think of something. What are some of your favorite manmade items? What about them is special to you? Are they big like a car or small like a staple? May you have a wonderful Friday and may you See many things around you, enjoy the Manmade items in your life, and appreciate the colors of ROYGBIV. Hi and Happy Thursday. Today is throwback Thursday. For today’s photo I decided to include a photo from when Ian was 2 years 3 months old. We had snow in the neighborhood and went out to play in it. 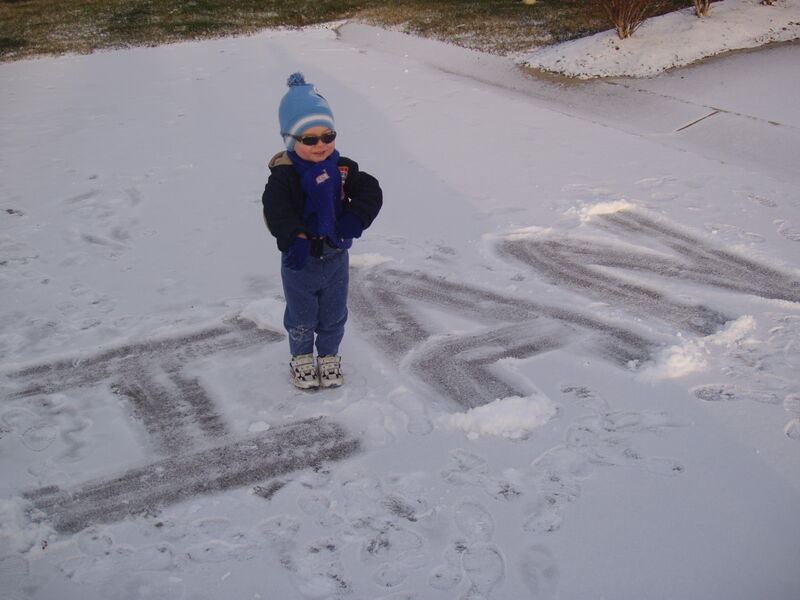 Kirk drew Ian’s name in the snow with his foot. Isn’t Ian a cutie? My short and sweet little guy. He was bundled up to play and have fun in the snow for a little while. He was so excited and had never been in snow before. Since then he has played in the snow a few more times but we haven’t seen much in his lifetime. I am curious about what this year will bring. Perhaps a chance for him to play in the snow again. 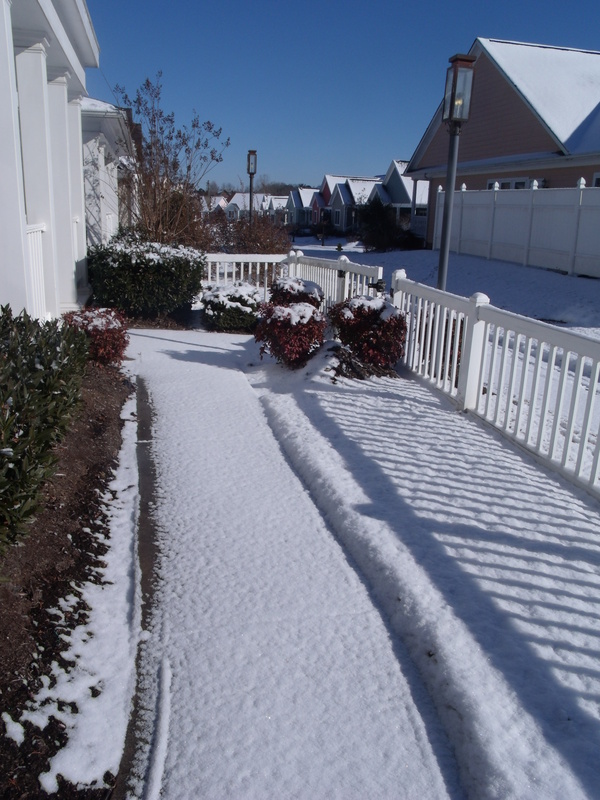 At the beginning of this week we had a dusting of snow but it has been steadily getting warmer as the week goes on. 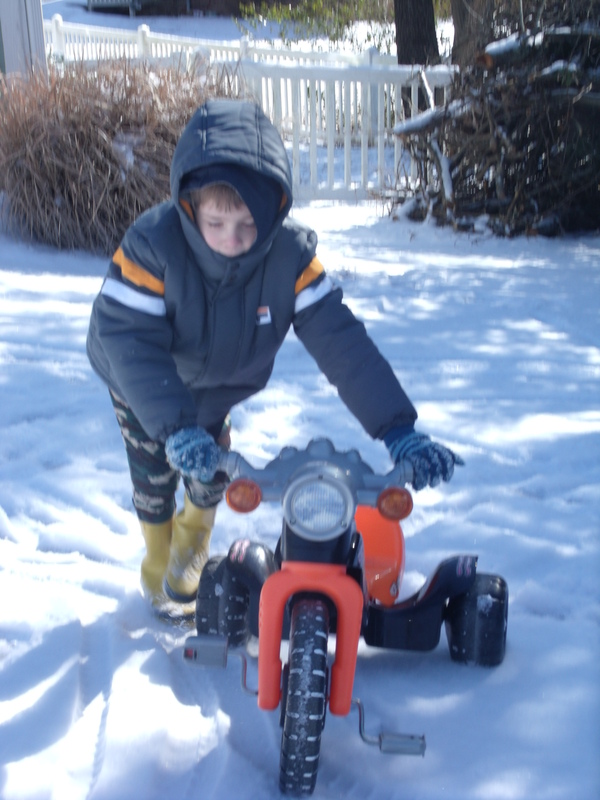 It was way too cold and not enough snow to play in it this week. I wonder when the next snowfall will be? Will Ian get out of school? Will it be okay to get out and play in? Can’t wait to find out!